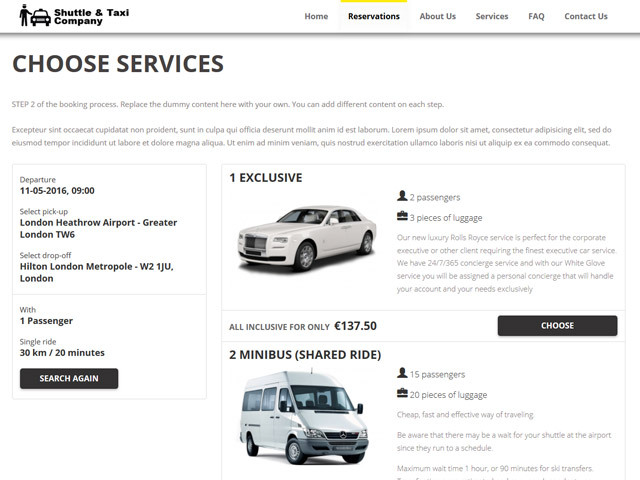 VEVS Shuttle and Taxi Websites offer all you need for your shuttle service business: stylish and modern design, powerful shuttle booking software, user-friendly content management system packed with a smart on-site editor, as well as all sorts of custom modifications and fine-tunings. Our shuttle websites can be launched in less than 48 hours and will not challenge your budget unexpectedly since there are no hidden fees whatsoever. You will only have to pay for eventual modifications, extra services, and add-ons. Our shuttle websites can easily adapt to your branding. You can change your website's color theme, choose from 5 different layouts for each site page, thus making countless design combinations - free of charge and as many times as you want. Should you need a custom web design, we can deliver it to you upon request. The built-in shuttle software is one of the key features you will not find in other similar web solutions on the market. You can add various vehicle types and shuttle services, set transfer fees, manage enquiries and bookings, process online and offline payments etc. 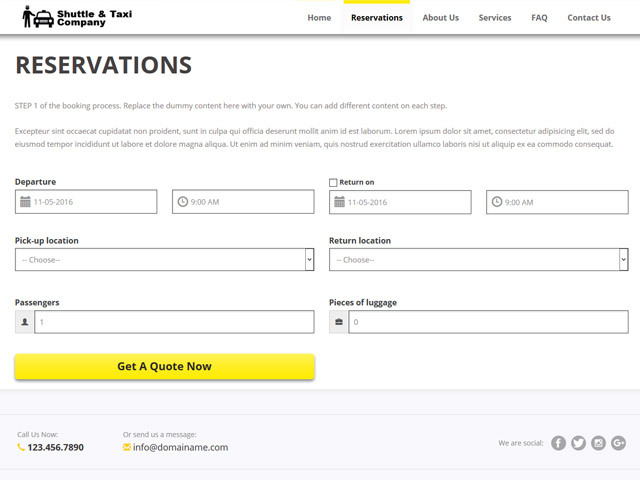 Making a transfer reservation takes less than five minutes. You are free to edit the Checkout form to match your business needs. 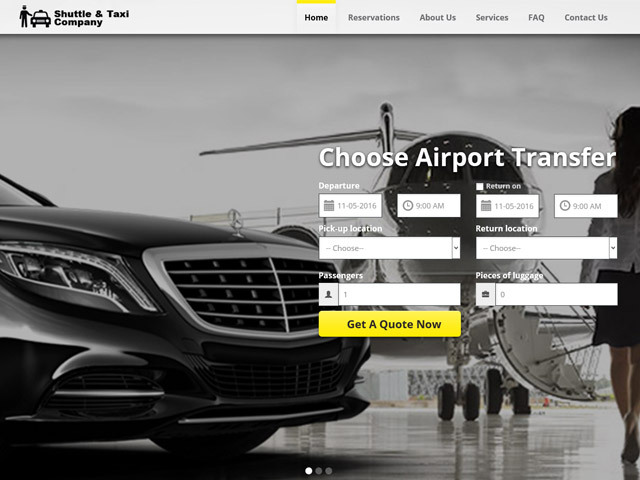 The administration page of VEVS Shuttle and Taxi Websites allows you to manage website contents on your own, even if you don't have any special IT skills. You can edit images and texts both from the back-end and the front-end. 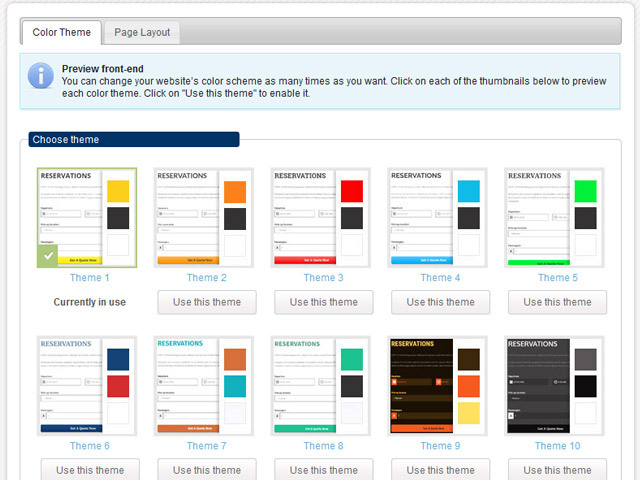 Just enable the on-site content editor and make things the way you want. Clients will be able to access and explore your shuttle website on the go and book a shuttle transfer from their mobile phones. All sites powered by VEVS are technically optimized for search engines and allow further on-site optimization even by users that are not SEO literate. This feature enables you to ensure good search engine rankings for your shuttle website.